Florida is one of the most popular vacation destinations in the United States. While Orlando and Walt Disney World may account for a lot of that, there is much more to Florida than just the mouse. There are sparkling white beaches, great museums and lots of history. When you are considering Florida as your next vacation destination, why not visit some of the national parks and other things to see that the state has to offer! So let’s begin by checking out these great Florida National Parks! Dry Tortugas NP is located a mere 67 miles (108 km) west of Key West, Florida and consists of a small group of 7 islands. The Dry Tortugas islands, first discovered in 1513 are now a 100 square mile national park and home to Fort Jefferson. This remote area boasts an unmatched array of tropical marine life, coral reefs, and crystal clear blue waters. 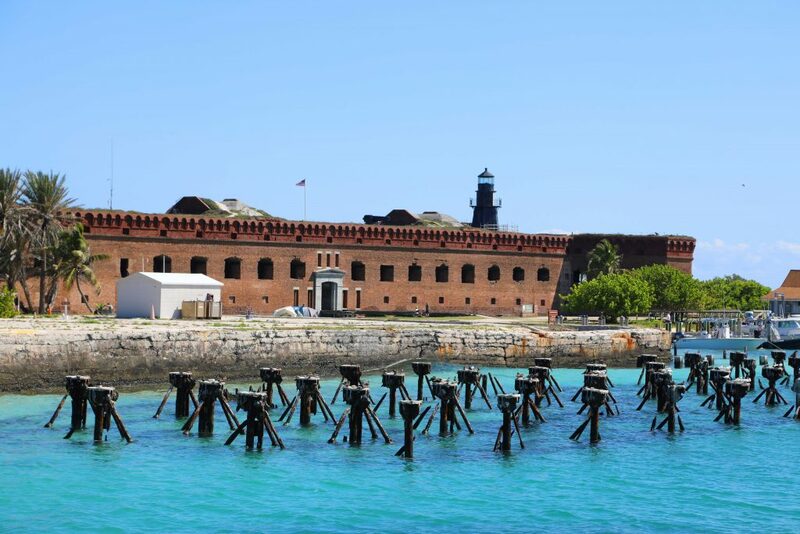 This travel guide is filled with useful information to help you plan your trip to visit the Dry Tortugas National Park. Discover more about the park’s rich history and exotic wildlife or get information on the beautiful campgrounds. This secluded paradise is only accessible by boat or seaplane. Plan your visit to the Dry Tortugas and join the 80,000 visitors that come to enjoy this National Park every year. The Everglades have become a wonderful memory for all of the families who have traveled to visit it each year. The Everglades National park is home to many rare and endangered species. It has been deemed an important reserve and Wetland! Now that is pretty amazing! Everglades National Park covers over 1.5 million acres. It has definitely earned its spot as one of America’s largest parks. The Everglades National Park is located in the southern section of Florida. Florida Bay and the Ten Thousand Islands, make up about one-third of the park’s acreage. If water is your thing, you should feel right at home here! You can find mile after mile of beautiful waters to kayak and canoe. While you visit, check out some of the park’s hiking trails. The safety of the Everglades was threatened because of the hunting of all the beautiful animals. As people were trying to control floods, they diverted the waters flowing from Lake Okeechobee. In the 1900’s Napoleon Bonaparte, who was governor at the time, promised drainage of the wetlands. In 1909, the Miami Canal that connected Lake Okeechobee to the Miami area was completed. In 1930, a dam on the south side of the lake was completed. The completion of the dam and canal brought a much-needed relief of the flooding waters. As the glades began to change, there was more attention being attracted to the area. Still, there were threats to the resources. Due to problems with oil drilling and lumbering of the trees, The National Park Service Director asked to make the Everglades a national park in 1923. Finally, a bill was passed which allowed for the creation of the park in 1934. It was the first park to be founded only to protect animals and resources. Not only is the park a wonderful place to visit, but it has a wonderful history. The glades are known as an endangered park because they are still facing troubles today. We can only hope that this park will be around for ages to come, but we do not have a guarantee. Everyone should visit this beautiful park, and soak up some historical information while enjoying the scenic views of the beautiful Everglades. If you’ve scheduled a late flight home, explore more of the key’s state parks. Or, make your final visit Key Biscayne — about half way between the keys and the airport. It’s warm shallow bay protects a living coral reef. The park has lovely grounds for fishing or for a barbecue picnic surrounded by water. 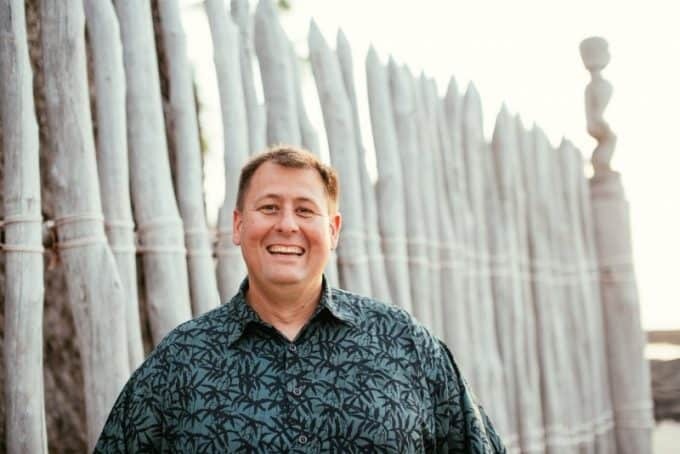 Investigate the ranger-guided programs, but skip the glass bottom boat ride. It’s 3 hours long and there is little reward for your time. Instead, rent a canoe or kayak to view the shoreline. There is also a short boardwalk that allows you to look over the side for marine life. On weekends, rangers may take you out to hike on Elliott key or paddle the shore. So, do your homework and plan ahead for the best experience. Biscayne National Park has battled many obstacles to preserve an area coveted by developers and stressed by population and pollution. The rangers at Biscayne are friendly, knowledgeable, proud of their park and have a great story to tell. From swamp safari’s too tropical islands, southern Florida’s parks are a paradise for nature lovers and offer a wonderful change of scenery without having to venture far from civilization. While I decidedly prefer remote locations to those near the city, I found the bird watching to be even better than I had hoped, and the alligators were a spectacle that I won’t soon forget. The fact that the area is located near a large metropolitan area is both an advantage and the park’s greatest challenge. I hope the National Parks and preserves are successful in their endeavor to offer refuge to wildlife once prevalent long before humans. You are about to enter one of the most magical places on Earth. 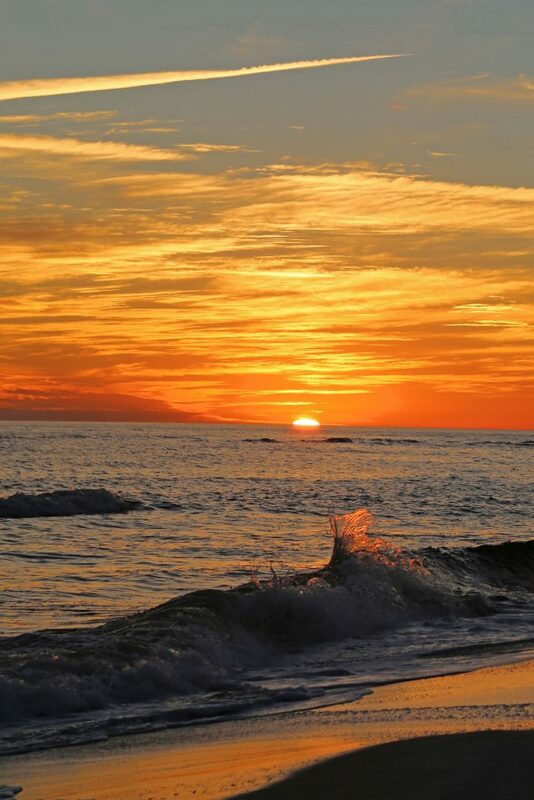 Florida’s Gulf Islands National Seashore are worldwide renowned beach destinations and you will soon discover why. Florida National Parks include some of our favorite parks to visit as often as we can. Everglades National Park is one of the best parks for bird watching and photography. 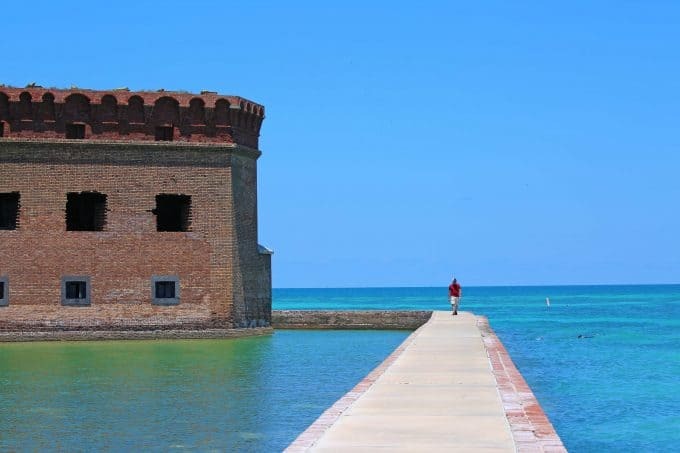 A trip to Dry Tortugas national park is a day you will never forget! From the gorgeous water to the amazing variety of birds and things to see and do. 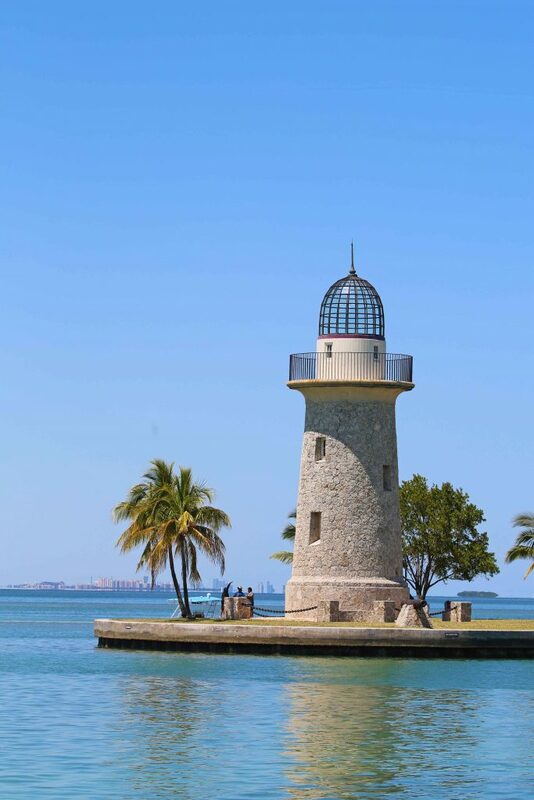 Key Biscayne National Park is a park that has a ton of boat tours and things to do that are not always the first thing visitors think about. 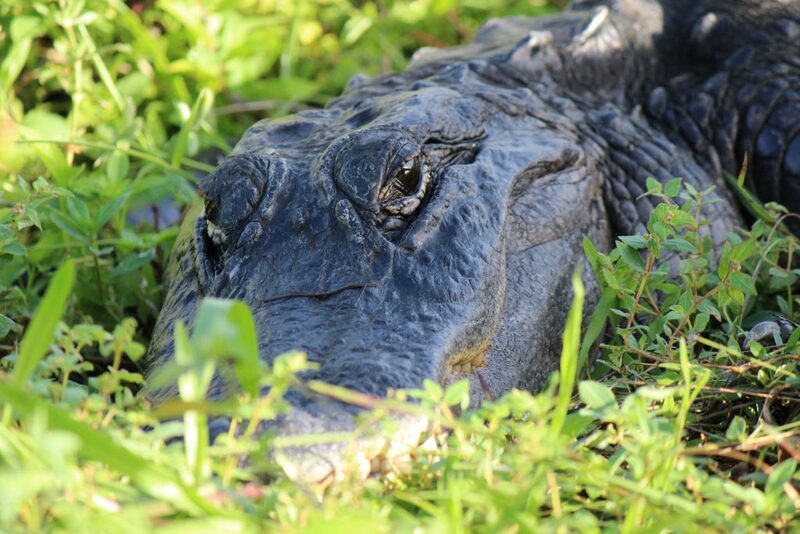 Plus Florida National Parks give you the chance to get up close and personal with an alligator. OK, maybe not too personal with a gator but you can easily get some great photos during a visit to one of the parks. 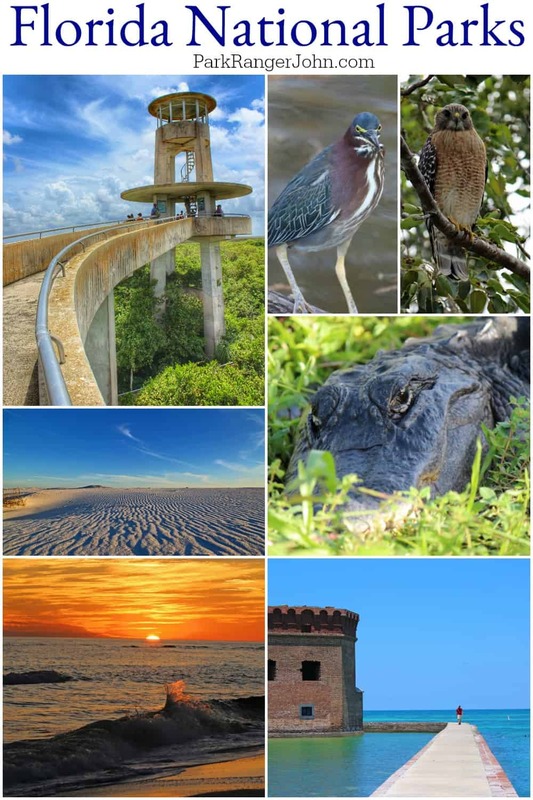 There are 11 National Parks in Florida that have over 10 million visitors. The National Park Service estimates that this produces over $653 million dollars in economic benefits. Florida National Parks include 1 National Heritage Area, 2 wild and scenic rivers managed by the National Park Service, 1,744 National Register of Historic Place listings, 45 National Historic Landmarks and 18 National Natural Landmarks. There is also 1 World Heritage Site in Florida National Parks. The National Parks in Florida protect 10,677,076 objects in the National Park Museum collection along with 1,181 archeological sites. Do you know how many National Parks you have visited? Check out our printable list of all 417 National Park properties so you can check them off as you visit. If you are focused on the 59 US National Parks check out this printable alphabetical list of the US National Parks. Have you dreamed of becoming a Park Ranger and working in our gorgeous national parks? Check out How to Become a Park Ranger for information on what you need to do to become a park ranger.